Whenever I go camping, I love to build a big fire from wood found afar from my campsite. Hauling it back to the site in crossed arms is one of the serene moments I love in life. But sometimes, I just want a fire ready to cook food quickly, and one that is compact, not one of those big outdoor grills. 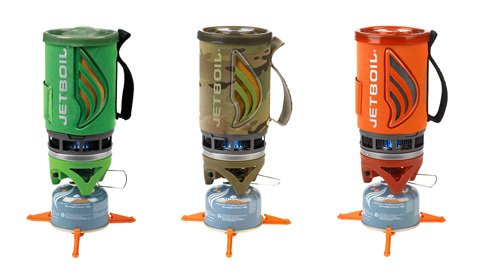 In just under two minutes, the Jetboil Flash Cooking System has boiling water ready for some instant soup or a hot cup of cocoa. 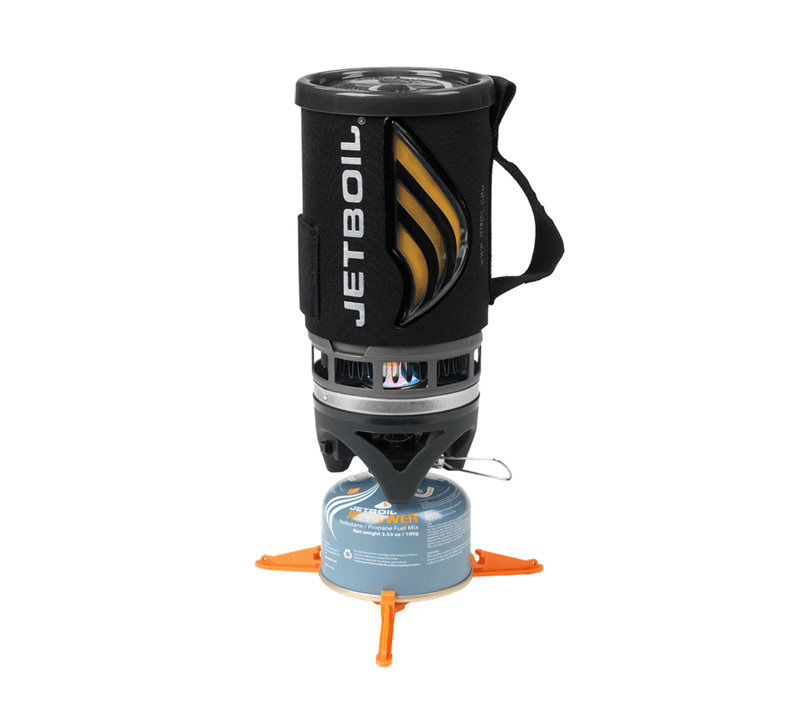 All that you need to do to activate the Jetboil Flash is push a button. The fuel, a combination of propane and isobutane, quickly heats the water in the cooking cup that features a color-changing label that indicates when the water has boiled. The Flash is available in Carbon, Camo, Peridot Green, or Tomato Red finishes, and it is sure to excite the camper that loves a few gadgets, too. 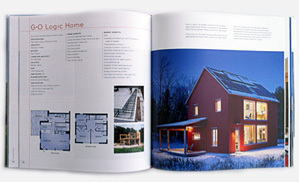 It is perfect for the solo hiker who wants a warm meal soon.